Today’s big data applications are getting even bigger, and are being challenged with an extreme data problem with growing unpredictable data and the increasing complexity of analysis that it brings. Delivering real, actionable insights is rapidly becoming every company’s most valuable resource, and therefore, businesses need to act with unprecedented agility to grasp the bigger picture. 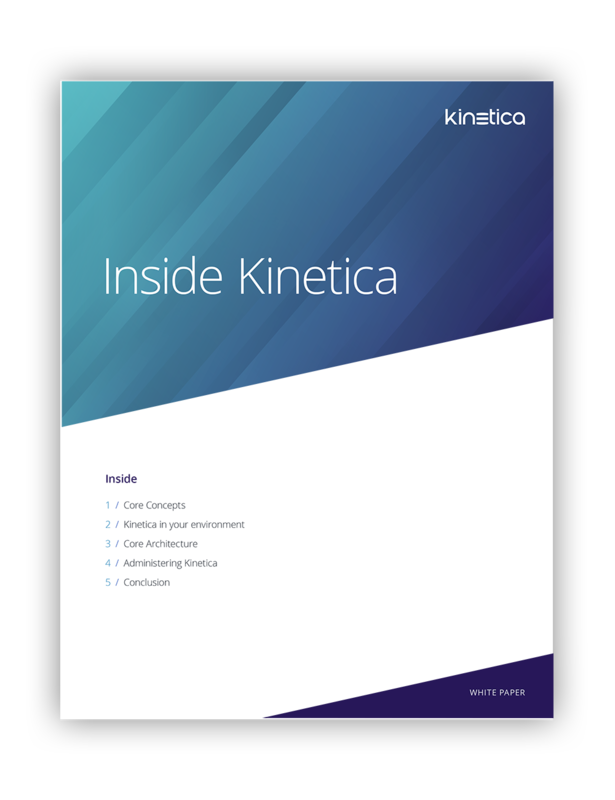 The Kinetica Active Analytics Platform is best for running large-scale analytics and streaming workloads. Whether you are a data scientist or architect, this paper is for you. It goes deep into the internal architecture of Kinetica. It assumes you have a basic understanding of Kinetica and want to explore what’s under the hood.